One of the most controversial lines from the newest Venom trailer came straight from the comics. The best look yet at the movie based on the iconic Marvel character comes in Sony’s second and likely final full trailer, which premiered a week ago and has amassed over 27.6 million YouTube views as of this writing. 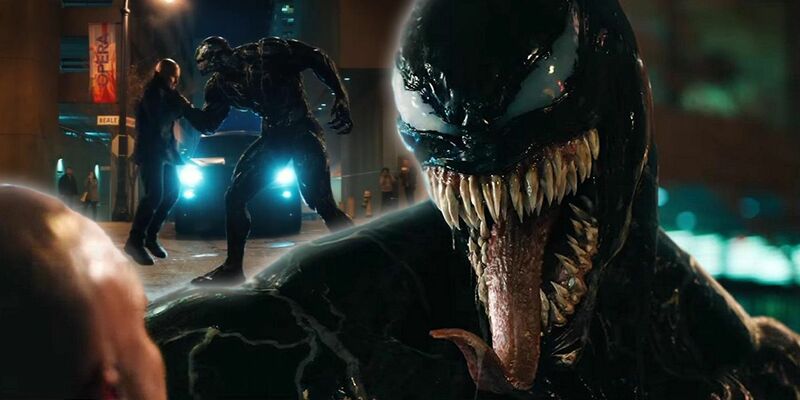 There’s plenty of new footage to be seen of the instantly recognizable Symbiote alien after it takes over the body of Eddie Brock (Tom Hardy), as well as the character’s unnerving voice. Much of the new trailer premiered first at Comic-Con in San Diego, but it’s now available everywhere. However, a lot of the focus on the new trailer is not related to the CGI, or Hardy’s voice as Venom, or any of the new characters, or the plot. 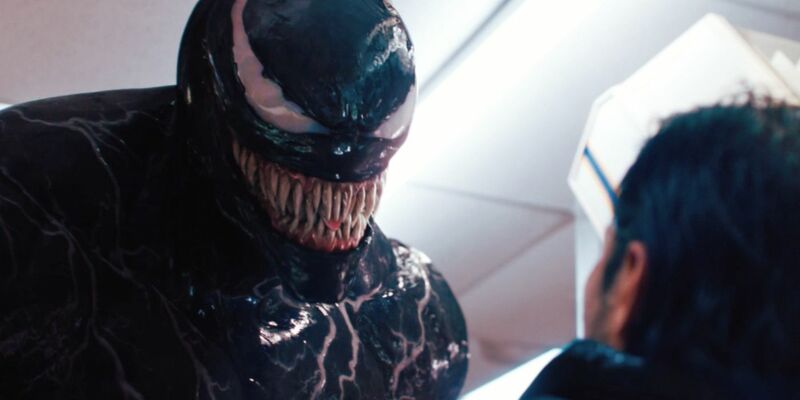 There’s been some controversy over a pair of lines in the trailer, one of which may sound too silly for a creature as deadly as Venom without context. But as it turns out, one of them was not made up out of thin air – it came from one of the original Marvel comics. However, there’s another line in the third trailer that apparently was not inspired by the comics, and caused a similarly strong reaction. Near the end of the trailer, Venom stares down a man in a convenience store and tells him: “We will eat both your arms, and then both of your legs, and then we will eat your face right off your head. You will be this armless, legless, faceless thing, won’t you? Rolling down the street, like a turd in the wind.” Search Twitter for “Venom” and “turd”, and the results are a healthy mix of anger and dumbfounded frustration. Many fans have been left to wonder how one can even picture a “turd in the wind”, or the point of using such a turn of phrase to describe an armless, legless, faceless corpse. It may be hard to get the most outraged fans to take their focus off that one quote and look at the good aspects of the trailer, and the fact that it fixes some previous issues. But there’s at least a silver lining that the “snacks” quote is pulled straight from something Venom actually said in the original comics. People may still hold it against the writers that they chose that quote, of all things, to include as one of Venom’s one-liners against his victims. But it’s at least consistent with how the character communicated in the Amazing Spider-Man comics, and there’s little wrong with being faithful to the source material. There could be a longer, more complicated debate that unfolds over the “turd in the wind” line, though. Ultimately, if Venom lives up to the hype in terms of story and action, a couple of over-the-top one-liners won’t do much to take away from its impact.